Made with molten honeycomb, fresh milk, cream & no artificial ingredients. Contains no artificial flavours or colours. Suitable for vegetarians. 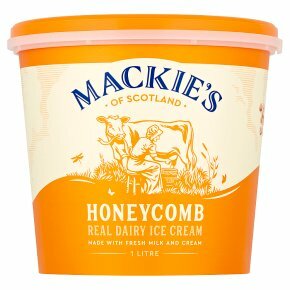 How to Enjoy Please allow Mackie's ice cream to soften slightly for maximum creamy taste and smooth texture.